When most entrepreneurs say they are “hustling”, it has two different meanings. One of them being someone that doesn’t stop until they’ve achieved success. The other meaning is one who runs the streets. That’s exactly the case with the next guest on The Movement. 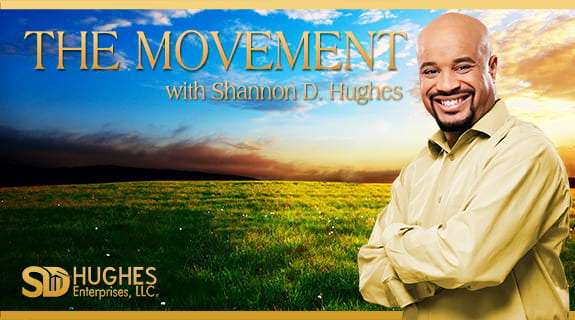 Join host Shannon D. Hughes as he speaks with speaker, future author and current entrepreneur Juan Montes. Juan will reflect on his days as a 5 year old learning from drug dealers, raising his brothers, suffering an injury preventing a possible NFL career, being homeless and turning it all around to become very successful e-commerce businessman. That’s next time on The Movement. January 2017 the launch of the Alpha Millenials was born. Also became a speaker in 2017 to other business leaders to help them grow their business. Also giving away half his income to those on the streets. Food, clothing and helping them find shelter. His first book to be released in 2018.